Abdel-Hadi Al-Qasabi, leader of the “Support Egypt” parliamentary majority, told reporters Sunday that more than 120 MPs have signed a petition asking that some articles of the country’s 2014 Constitution be amended. Al-Qasabi said the petition will be referred to parliament’s general committee (headed by Speaker Ali Abdel-Aal, and including his two deputies, the chairpersons of 25 parliamentary committees and representatives of political parties and independents) to be discussed and voted on in principle. “If approved by the general committee, it will be referred to parliament’s legislative and constitutional affairs committee to discuss it in detail in hearing sessions and see if it goes in line with Article 226 of the constitution and ensure that it gives more rights and guarantees,” said Al-Qasabi. Al-Qasabi revealed that the amendments propose that the presidential term be extended from four to six years, and that the president appoint one or two vice-presidents. “So, as you see, the constitution does not stand against changing presidential terms, but it only asks for guarantees in this respect,” said Al-Qasabi. The amendments also recommend recreating a second house parliament to be named “the Senate.” “MPs want a return to the bicameral system and hope that Egypt has two houses in order to give greater space for political activists to participate in parliamentary life,” said Al-Qasabi. He also indicated that one of the amendments stipulates that 25 per cent of seats in parliament be reserved for women, while maintaining adequate representation for Copts, youth, and the physically challenged. Alaa Wali, head of parliament’s housing committee, told Ahram Online that there is a growing consensus among MPs that Egypt’s 2014 constitution be amended. 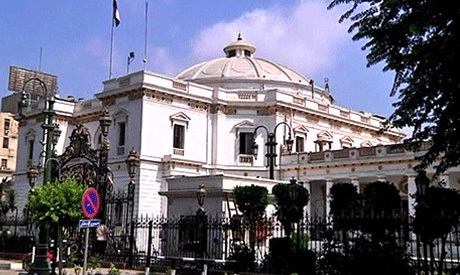 Informed sources told Ahram Online that most political parties with representatives in parliament have signed the petition on constitutional amendments. Two parties, the leftist Tagammu and the Egyptian Socialist Democratic Party, have refused to join the consensus.